Author Kameron Hurley is procrastinating on her novel has written another interesting blog post, this one called UNPACKING THE “REAL WRITERS HAVE TALENT” MYTH. She makes a few points that are similar to ones I made in a previous post about talent and hard work, Teaching Writers To Be Talented, but she comes at it from a different perspective. I especially like the way she emphasizes study as much as hard work. Sure, a writer can create page after page of prose, but unless there’s a continuous struggle to separate what works from what doesn’t, and unless there’s an open-minded willingness to study the form in depth, all that hard work may not mean actual improvement. Yeah, it’s nice to have “talent”, whatever that is. I mean, I talk about talent in that old post I just linked to, but I’m surprised to see that I never used the term black box to describe it. People call others “talented” based on what they create, but you can never really know the process that lead to that final creation. Was it a “natural gift”? Did they study the craft for years? Were they working in a parallel field then carried a few lessons over? Did they grow up in a home rich with language? Even if you were to ask the author directly, you could never be sure their answer is accurate, not when writers say things like “I didn’t have talent. I had hard work.” and “I just sat down to write a book and a publisher picked it up!” People have a tendency to overlook important factors like years of fanfic/journal writing, or even something as simple as a house full of books. Hurley’s post is worth reading, not least because she gives hard concrete examples of the way she learned. “Blindly groping along” I think is the way she put it, which covers so many of us. Meritocracy is America’s foundational myth. If you work hard, society tells us, you’ll earn your place in the middle class. But any strawberry picker knows hard work alone is a fast road to nowhere. Similarly, we place our faith in education. Study, and the upper-middle class will be yours. Except the average student graduates $35,000 in debt. Artists too have their myths. The lies told to artists mirror the lies told to women. Be good enough, be pretty enough, and that guy or gallery will sweep you off your feet, to the picket-fenced land of generous collectors and two and a half kids. But, make the first move, seize your destiny, and you’re a whore. But neither hard work nor talent nor education are passports to success. At best, they’re small bits of the puzzle. It’s easy to ignore luck, privilege, and bloody social climbing when you stand onstage in a pair of combat boots. It’s easy to say that if people are just good enough, work hard enough, ask enough, believe enough, they will be [successful]. She’s coming at things from the fine arts, so her concerns are somewhat different. She needs funds to create her artwork, while for writers the main constraint is time. Time to read, research, write, and revise. Time to make the work and do it without interruption. For me and most writers I know, the major limitations on our time come from the paying work we must do to support ourselves and our families, and the time we have to spend caring for our loved ones (addendum: we need loved ones; being lonely can kill you). Even with talent and hard work, there’s always a chance of failure. Money helps. Luck helps. Lots of free time helps. Supportive people help. Success comes from a mix of some or all of those things, and the more of them you have the better. That’s a quote from Scott Lynch’s post from today. It’s another long one, but again worth reading. The big takeaway is that, you have to work hard, you have to be lucky, you have to stick it out, but even if you do everything “right” there are still no guarantees. 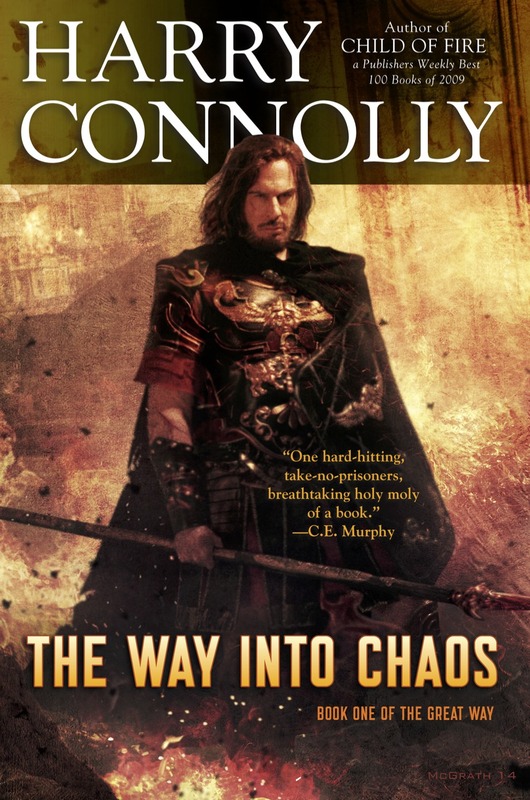 THE WAY INTO CHAOS, aka A Blessing of Monsters, aka Epic Fantasy With No Dull Parts, has gone the rounds of New York publishes and found no takers. The very last rejection came this morning, which is why I dredged up this post from the pile of unfinished ones in my dashboard. The reasons giving in those rejections are interesting if not instructive. Today’s pointed out that the current market favors fantasy that’s very dark, while TWIC is not. (So much for being ahead of the curve). In any event, yes, I will have to finish the book, then self-publish it (with some crowd-sourced help to pay for editing and cover art). That’s some weeks away still, but damn.